Cst. Douglas Scott, 20, was killed about 11.00 PM monday, november 5th 2007, while answering to a drunk-driving call in Kimmirut, Baffin Island. Cst. Scott was last heard at 11.02 when he called in to confirm he was following up the call. Shortly thereafter, RCMP’s “V” division telecoms attempted to contact Const. Scott but received no response. At 11.31, Kimmirut’ other constable was told by other residents that the impaired driver had crashed in a house. Upon arrival on the scene, it was found that Cst. Scott has been shot at 11.45 PM. Cst. 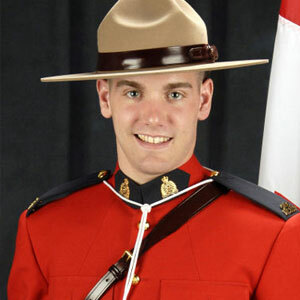 Scott was the eldest of three brothers and his uncle, Chris Scott, is a staff sergeant with Kingston city police. He is survived by his parents, Doug and Marla.